People want to live in a world where love motivates people to help others and love does that, but there isn't enough love to go around. Love for strangers isn't going to motivate enough people to get in their truck, load them up with generators, take them down to help people who are cold and hungry, and give them away for free. Instead they will charge double! In the case of price gouging during a state of emergency, I like to look at the situation from a neutral point of view. The problem isn't the individual selling the generators, the problem is that people don't like the fact that the man selling the generators has decided how to allocate a scarce resource. That's where the government comes in and plays their role in society and that is to maximize welfare; just like the great state of Mississippi, creating policy (laws) that states, "...you can't change the price of goods once a state has declared a state of emergency." - Mississippi Attorney General. So really if you get into the nitty and the gritty of the issue, it comes down to people not enjoying how the system works when it isn't in their best interest. Don't get me wrong, I am all for helping people in need, but I feel that if someone wants to buy a scarce resource and sell it for twice as much in a state of emergency is not in the wrong. Adam Smith had it right with the idea of laissez faire and the invisible hand of the economy that will take care of itself. We have decided that the way we allocate scarce resources is by distributing them based on how much people will pay. Business tries to maximize profit, while we, the consumer, try to maximize utility. Based on that notion, in a rational system, price gouging will occur. Whether we think that is wrong, right, or we are indifferent is on the individual citizen. In which case voting is the only way to change that. I also understand the way this effects the economy. Just as Economist Milton Friedman ha said, "it is a good thing." If someone decided to sell the generators in the story for say $1, if that were to happen across the board it would in turn hurt the economy. The business would be broke, no jobs would have been created, money would not be flowing through the economy, resources would not have been allocated in the most efficient way possible. Our economy depends on people spending money. I realize that this is an oversimplification of an actual issue, but the point was to show that it wouldn't work out in the long run. 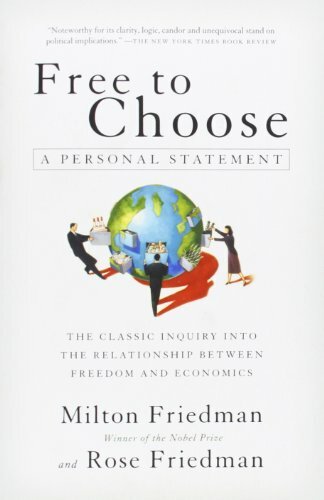 This a book written by Milton Friedman. He is a nobel prize winning economist. May be interesting, may not. Hmmm, an interesting take on this. I quite like the idea of freezing prices in a state of emergency, it just seems like the right thing to do. But I do see your point. Thanks for the read. And these are hard choices to make. Thumbs up from the pic alone. You raise an interesting point about the limits and scope of public welfare. Yeah, I thought it was quite humorous. Thanks for the read. Basically, this comes down to supply and demand. If you are not willing to pay the price for a product, someone else will. If there is a limited supply, businesses will raise prices because they have scarce resources. It is not necessarily right, but the free market economy has a way of balancing things out. Well done, thought-provoking article! I just remember the BS from the Exxon 'Valdez' spill and 9/11 and telling my then wife, each time, to get our cars out and fill up the tanks before the gouging started. It happened within hours--gas where we lived shot up to over $4.00 per gallon (some of those jackholes got investigated and nailed by our state's attorney general for gouging). Yeah, I see both sides. My opinion is based on an open market system. I can totally see how people can be taken advantage of in times of need, but I also see the fact that in times of need people can't get the specific items they need due to the control of the supply. The demand is always there in these situations. So it's either people get taken advantage of and get what they need or they don't get what they need at all. I'm not saying I like it, I just think it's better than the alternative. Pindyck & Rubinfeld Microeconomics. Upper Saddle River: Pearson Education, 2013.